If you haven’t had much luck finding the recently released Power Rangers Legacy figures then you have another option available. 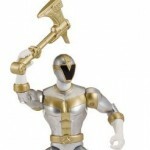 Today, GameStop.com put up Legacy Power Rangers Zeo Figures Pre-Orders for all six of the Zeo Rangers. We’ve already known that Zeo Yellow and Zeo Pink were exclusive to GameStop, but now we have pre-orders available online for these as well as the other four figures. Click here to pre-order your Legacy Power Rangers Zeo figures. These are being sold at $19.99 and have a release date of 07/29/2018, a couple of weeks earlier than the in-store availability pre-order. Specials thanks to @IamKneeGrow for the heads up! Who needs the powers of the Zeo Crystal when you can grab these Legendary Ranger Keys and morph in to your favorite Power Rangers Zeo characters? 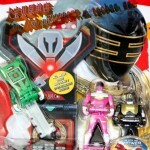 We’re back with another gallery of the Ranger Keys from the Power Rangers Super Megaforce toy line – including the now hard-to-find Power Rangers Zeo Ranger Keys Set A (with Red, Blue, Yellow) and the Toys’R’Us exclusive Power Rangers Zeo Ranger Keys Set B (with Green, Pink, Gold)! We have over 50 images of this in the Zeo Ranger Keys Gallery, including close-up images of the heads of each key as well as the scanner code so you can unlock all six Power Rangers Zeo characters in the scanner app for your smart phone! The fact that the greatest Power Ranger of all time, Zeo Gold Ranger, is in this gallery is worth the click alone. So what are you waiting for? Join in the discussion! Did you grab any of these keys? Do you plan to? Do you need help finding them? Join the discussion! 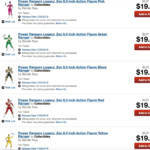 Thanks to Fury Diamond of Rangercrew, the next wave of 5’’ Super Megaforce Action figures have been revealed once again through Amazon listings! And finally, the Lunar Wolf Ranger from Wild Force. Currently, the retail release date for this wave remains unknown but expect these to be on sale via Amazon soon. History’s greatest Power Rangers continue to fight it out in round 3 of Morphin Madness! [/URL] The ultimate tournament to decide which 5 Legendary Rangers will be made into a limited edition Ranger Key set by Bandai of America! But the message of Morphin Madness, what it’s really all about, appears to have been lost thanks to some unfortunate poking from two sides of the fandom. At the end of the day this competition is for fun. It’s ultimate goal however is still the production of 5 Ranger Keys. As we know BOA will only be producing about 70 keys out of 100+ rangers they have to work with. This competition will allow fans to pick 5 rangers to be made into a special limited edition Ranger Key set. Keys that simply wouldn’t exist without fan support in an event like this. The competition has been fierce and heated, but fans have stuck with it to vote for their favorite rangers and the ones they find most in need of the Ranger Key treatment. Today TokuNation would like to take a moment to honor 5 of Round 3’s rangers in a little segment we’re calling Power Playback! 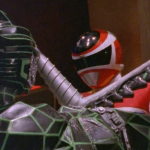 Power Playback is a community viewing event that consists of 1 episode each, from 5 different classic Power Rangers seasons! Designed to give people a chance to experience some of these rangers for the first time or relive them all over again, Power Playback also gets your foot in the door on 5 classic Power Rangers series; Zeo, Mystic Force, Turbo, Lightspeed Rescue, & In Space! Each of these episodes is the 1st appearance of a Legendary Power Ranger featured in the current round of Morphin Madness! Power Rangers Zeo “The Power Of Gold” – The first appearance of the Gold Ranger! Power Rangers Turbo “Phantom Phenomenon” – The first appearance of the Phantom Ranger! Power Rangers In Space “From Out Of Nowhere Part 1” – The first appearance of the In Space Red Ranger! Power Rangers Lightspeed Rescue “From Deep In The Shadows” – The first appearance of the Titanium Ranger! Power Rangers Mystic Force “Broken Spell” – The first appearance of the Mystic Force White Ranger! Check out these episodes, which are currently available on such streaming sites as Netflix,[/URL] and give us your thoughts in this thread. Simply click “Discuss on the TokuNation Forums” at the bottom of this post to be taken to a full rundown of each episode, along with the further exploits of each of these 5 rangers. Spoilers abound on the next page so read on with care. And be sure to head over to our massive ongoing Morphin Madness Thread[/URL] to share your thoughts on the brackets and how things are playing out! Oh the madness that is Morphin Madness continues! In what started as fun and has slowly turned in to a disaster, the hosts of the Talkin Toku Podcast joined forces with a number of other Power Rangers fandom alumni to create a special, fun promotional podcast episode in hopes of steering the sinking ship back to shallow waters. Listen to all 9 hosts share a quick fact or reason why they’re voting for the Power Ranger they’ve selected. As a special treat, the end of the episode features the music montage that plays during that sequence without the voice overs. Click here for the direct download! Click here for our page on our LibSyn host page! Another big special thanks to all of our guest hosts. Please be sure to follow @RangerCrew on Twitter, as well as visit RangerCrew.com, MegaforceCast.com, and subscribe to the PRSamuraiCast Channel on YouTube. Be sure to listen to every episode of the Ranger Command Power Hour Podcast and follow their official Twitter account @RangerCommandPH, as well as their excellent hosting crew (@trekkieb47, @TheCinemaSlob, @secretrangerfan). 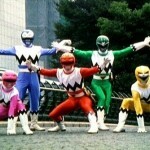 Check out MorphinLegacy.com and follow them on Twitter @MorphinLegacy as well as listen to their The Grid Podcast. And finally, check out the excellent blog The Monkie Grid by @MonkieRanger. Be sure to head over to MorphinMadness.com every single day to vote on the remaining Power Rangers! Who will survive to the final round? Who do you want to win this contest? Remember – this whole thing is about fun! Don’t cheat, don’t belittle your fellow fans, simply vote and cross your fingers like the rest of us! GO GO POWER RANGERS! For fans of Power Rangers Zeo, it was interesting to see that the mysterious Gold Ranger was an alien being that split in to three separate entities. 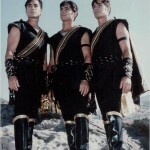 The actors behind it are actually identical triplets – Tim, Ted, and Tommy DiFilippo. They played the physical body of Trey of Triforia while Brad Hawkins (VR Troopers) played the voice. Our good friend Fury Diamond at RangerCrew.com let everyone know that the DiFilippo triplets did NOT receive an invitation from Saban Brands to return for Power Rangers Super Megaforce. Considering Rhett Fisher, the Titanium Ranger from Power Rangers Lightspeed Rescue, had his invite rescinded, it shouldn’t come as any surprise that these three were not coming, but it is a little shocking that they didn’t even receive an invitation. They have had a renewed popularity after their appearance at last year’s Power Morphicon. Share your thoughts on the lack of Gold Ranger Power on Super Megaforce! Discuss away. Don’t forget to check out our comprehensive list of returning (and not returning) veteran Power Rangers!